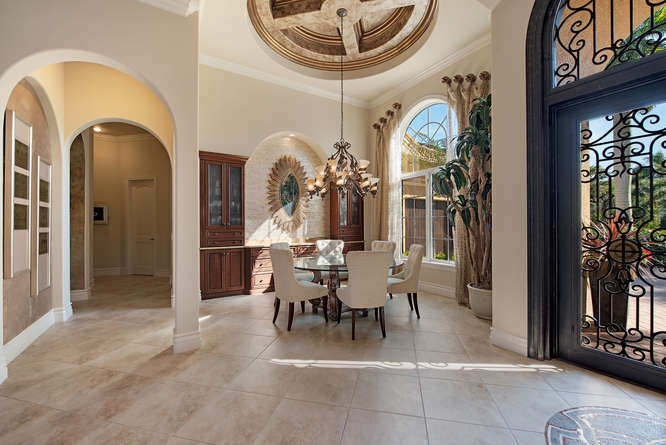 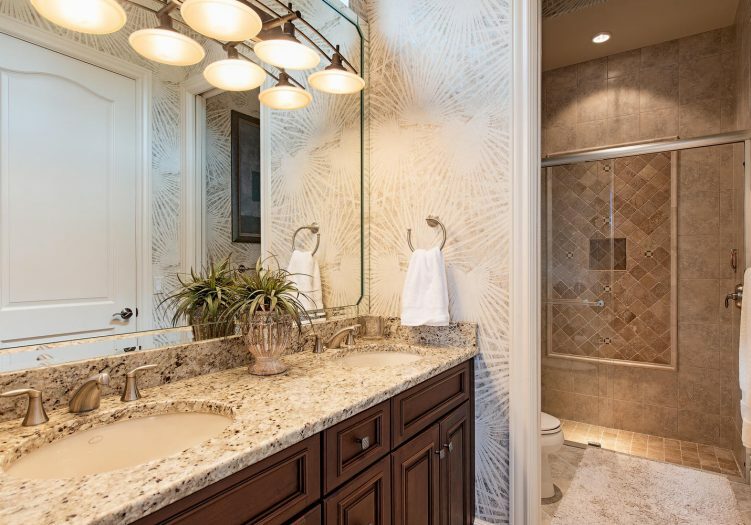 Custom appointments & designer touches are found throughout this stunning former model home nestled on a rare lakefront lot surrounded by panoramic lake views. 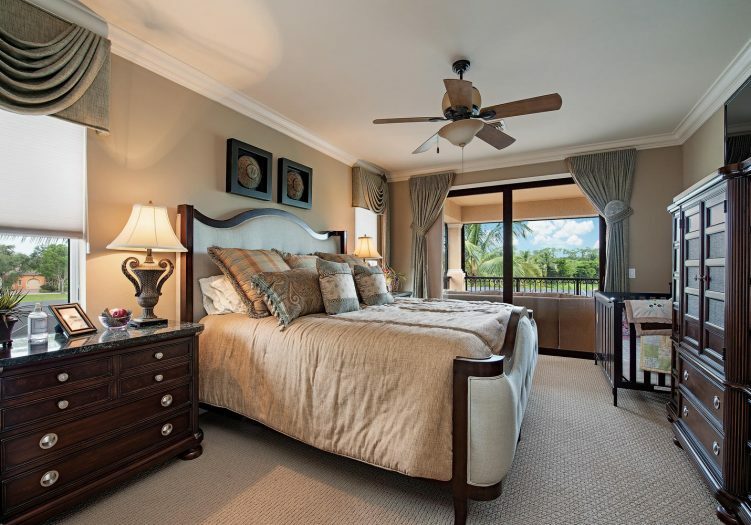 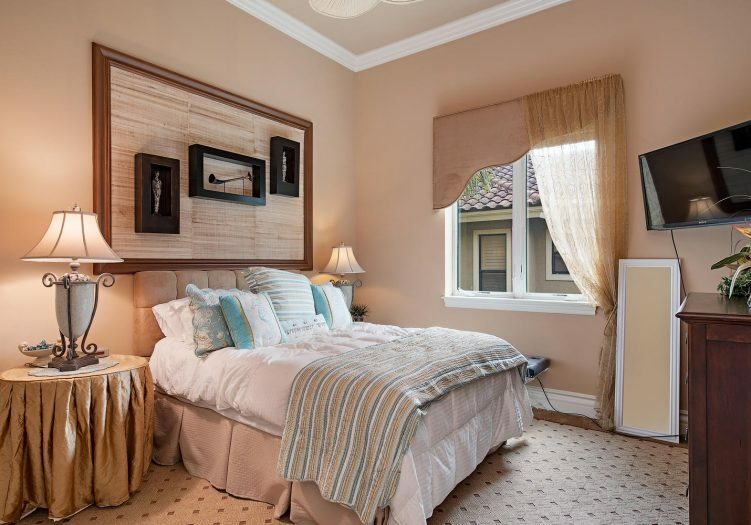 Incredible attention to detail is evident throughout including volume ceilings, arched passageways, integrated sound system, tile laid on the diagonal & lush carpet in the bedrooms. 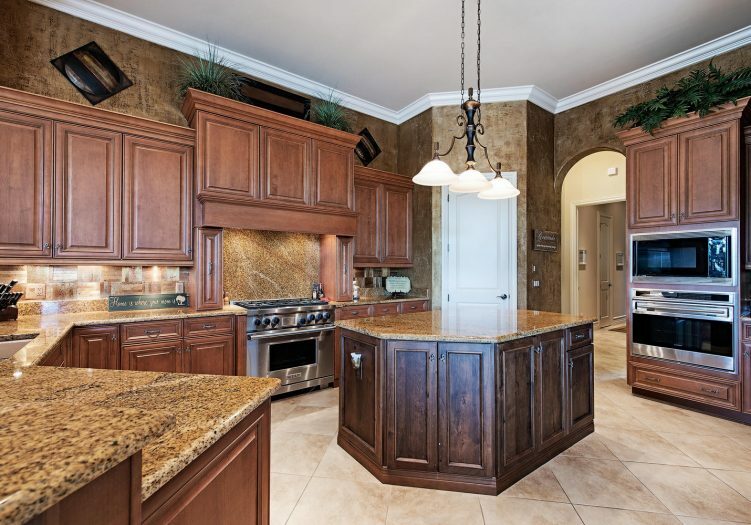 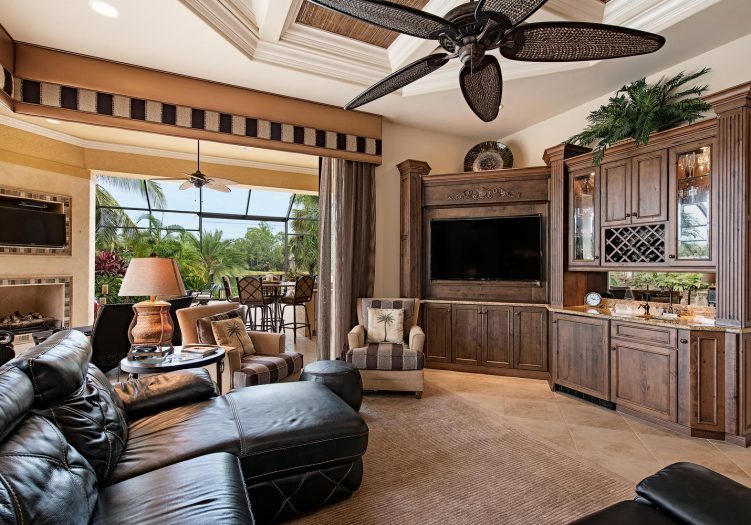 Entertain guests in the tasteful formal dining room while enjoying selections from the wet bar. 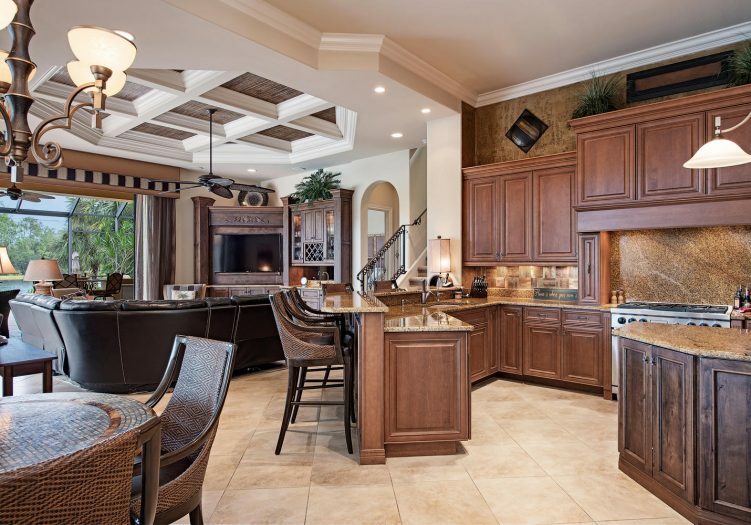 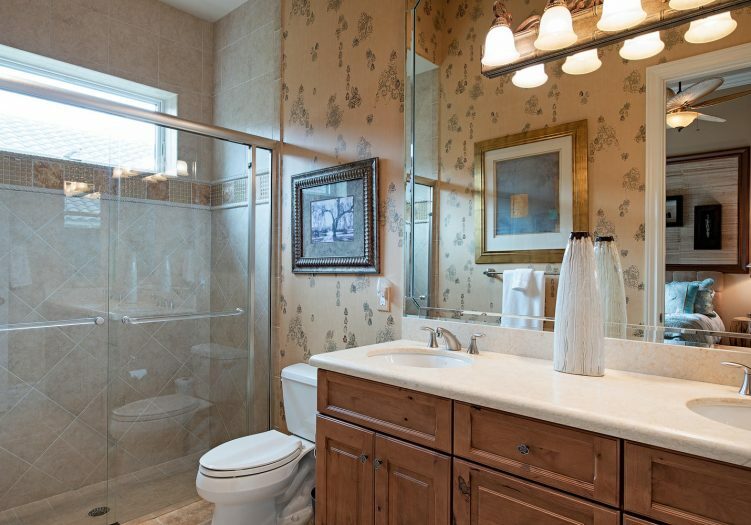 Top of the line built-in Wolf appliances, rich wood cabinetry, six-burner gas stove and granite countertops covering the work surfaces, breakfast bar & large center island in the kitchen overlooking the breakfast nook & family room. 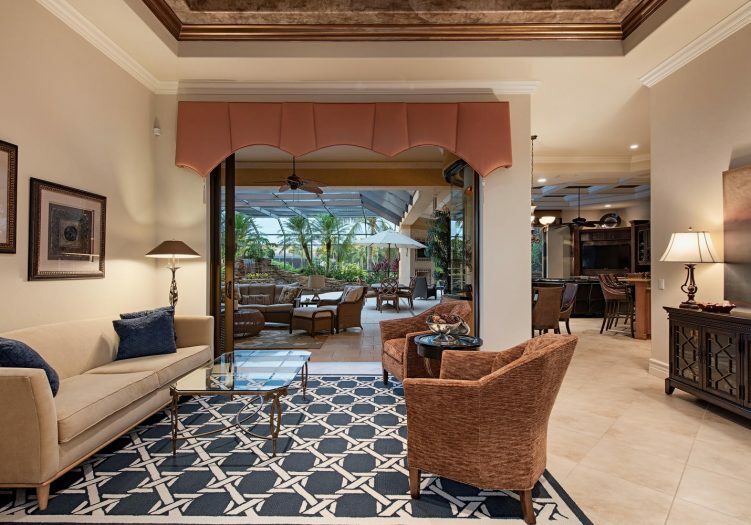 Host guests in an additional second story loft complete with screened balcony, wet bar & private guest suite, allowing guests their own private living quarters. 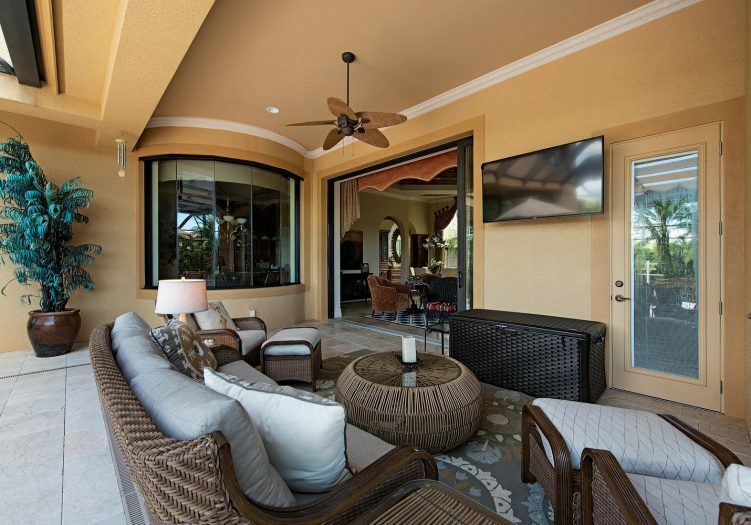 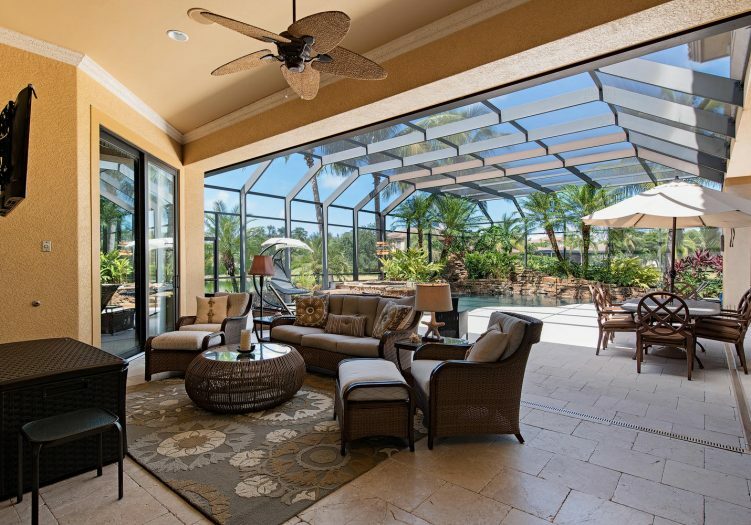 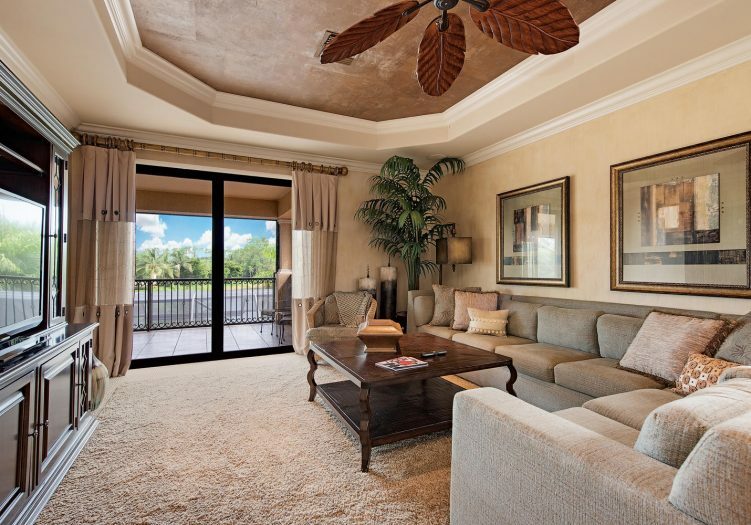 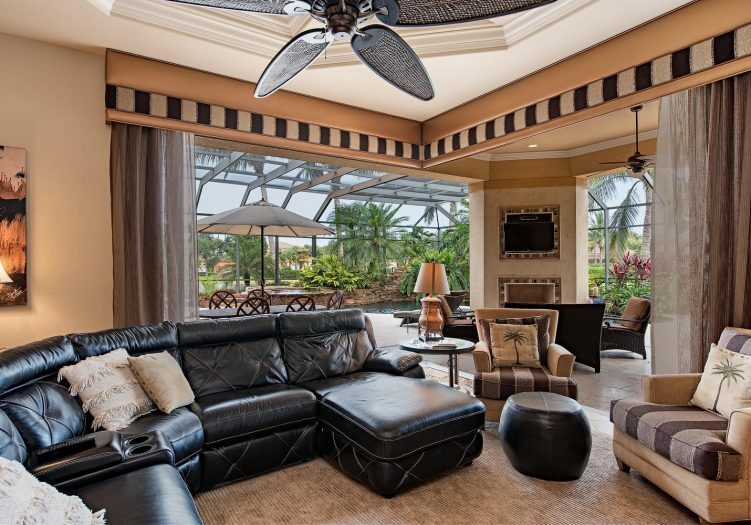 The expansive screened lanai houses multiple seating & dining spaces, outdoor fireplace & summer kitchen. 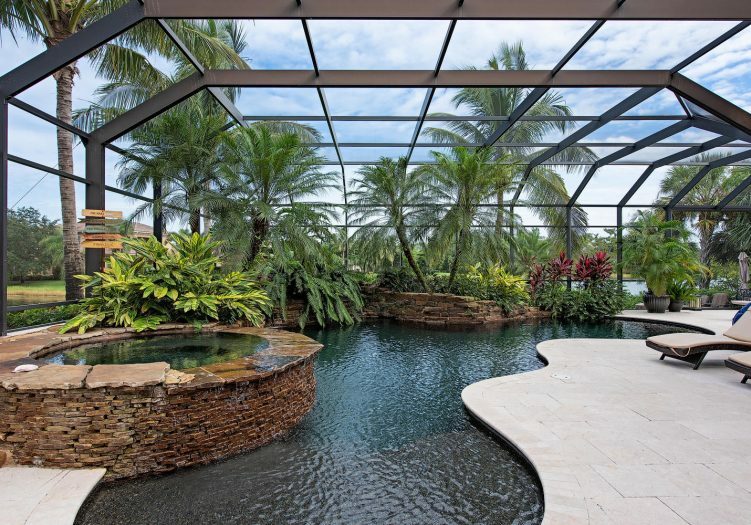 Outdoor amenities are punctuated by lush landscaping & stunning stacked rock details surrounding the lagoon style pool & spillover spa. 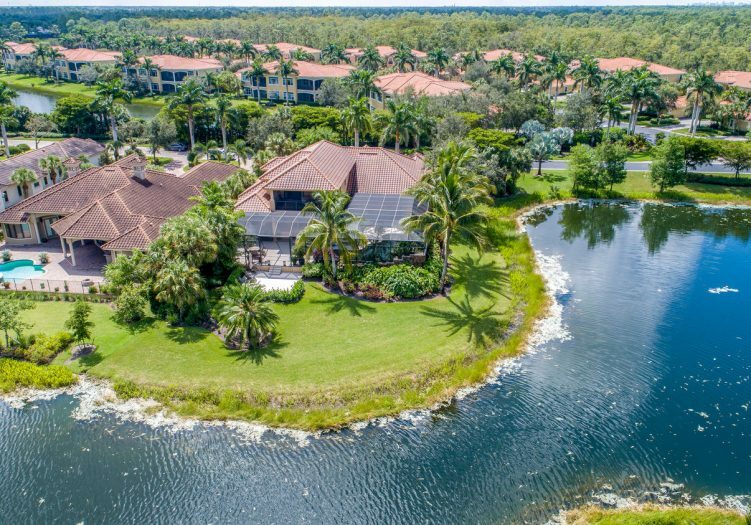 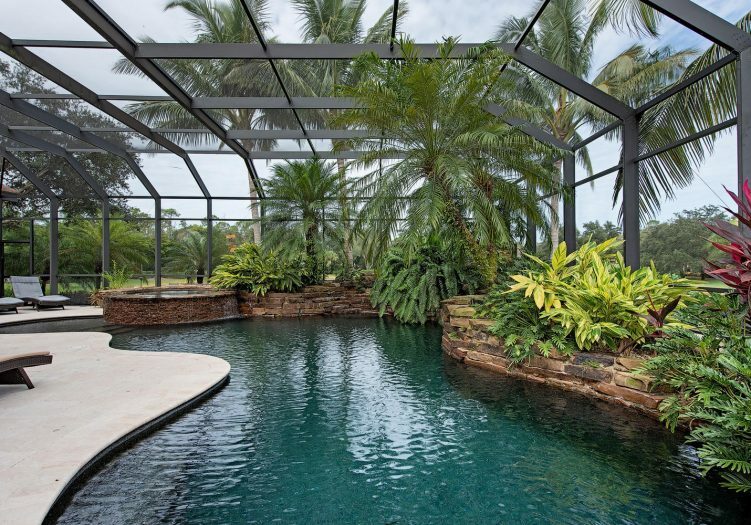 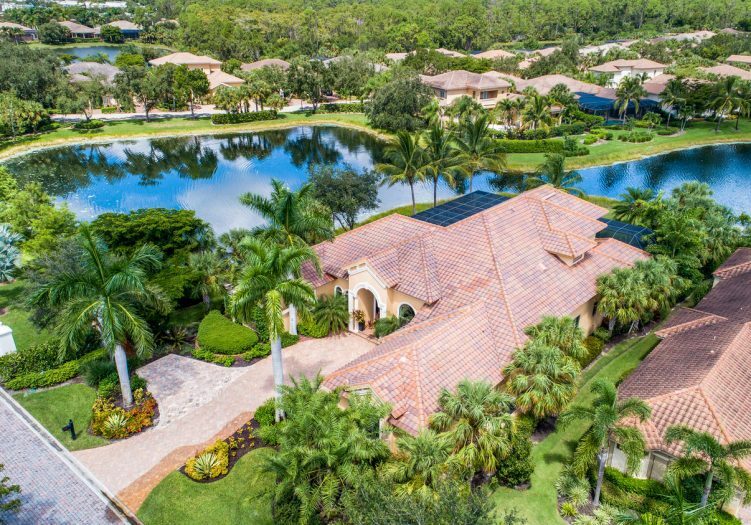 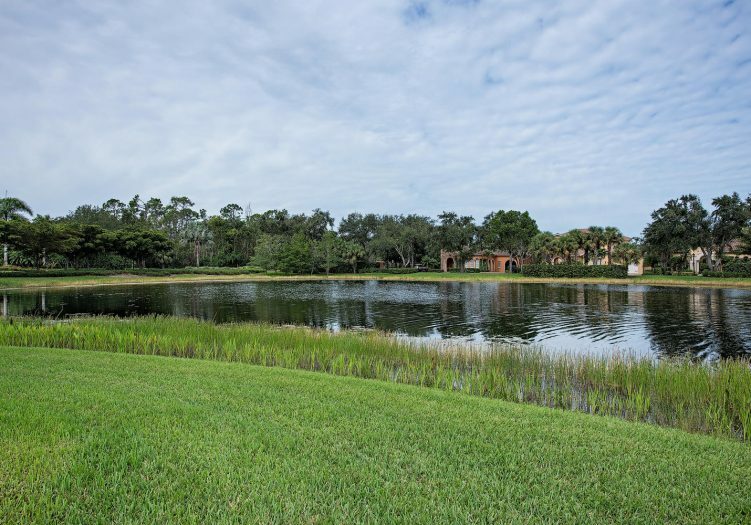 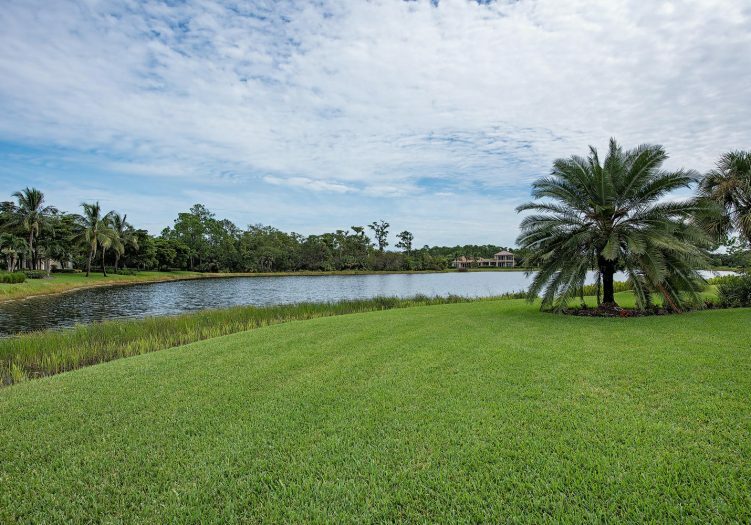 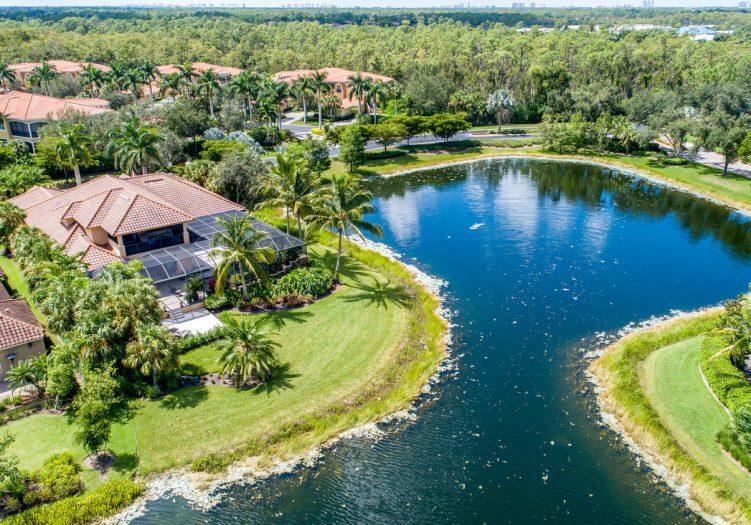 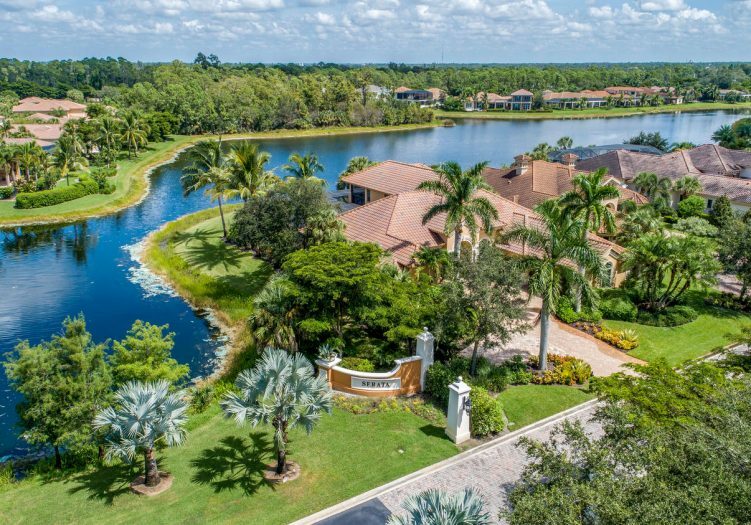 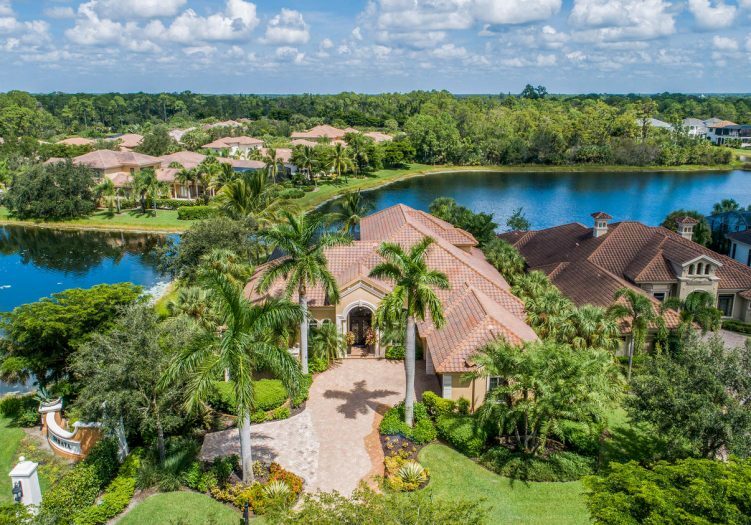 This stunning oasis is only further expanded by captivating water views on the side and back of this incredible estate.